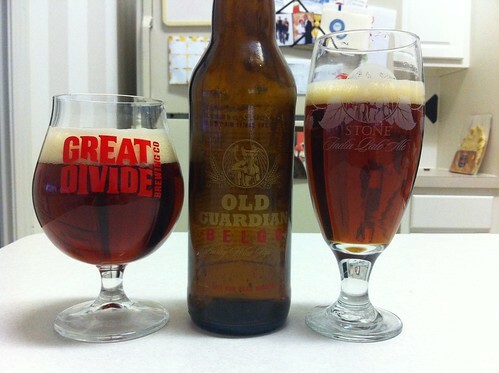 This year Stone released their Old Guardian Barleywine fermented with a Belgian yeast strain, as part of their “Odd Beers for Odd Years” program. I’m a big fan of barleywines, and this strikes an interesting balance between Belgian “spiciness” and aftertaste with the heavy hitting flavor profile and bitterness you’d expect from an American barleywine. There’s a whole lot going on here for sure.